Who doesn’t love Barrack Obama? The President of the United States is coming to the end of his second term and in true Obama style, he’s going out in the coolest way possible. The White House recently released a video titled “Couch Commander”. The spoof video stars Obama himself and looks at the ways that the President could fill his next two years living in Washington DC without any presidential duties. Options include playing golf every day, coaching the local sports teams and getting his driver’s licence. Obama even get’s excited to wear his “mom jeans”! 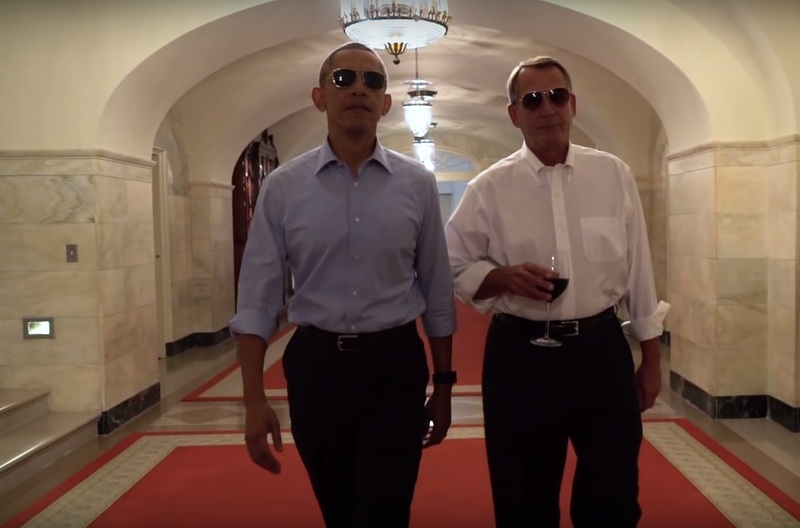 Aside from that amazing snapchat video fail, one of the best scenes of the movie shows Obama strutting through the halls of the White House with politician John Boehner at his side. Adding to his effortlessly cool look, the President is rocking a pair of cool aviator shades as he walks. Obama’s eyewear recently made news when he swapped his usual “dad-style” sunglasses for a super stylish pair of Oliver’s People wayfarers. However, he’s chosen another pair for his Couch Commander appearance. We’ve identified Obama’s aviator shades as the Ray-Ban RB3136 Caravan aviator shades. These retro-inspired sunglasses are a unique take on the classic Ray-Ban aviator, featuring a more square-shape lens. They’re available in a range of colour options, but it looks like Obama has chosen the ever-popular arista gold and crystal green version. The good news is that these sunglasses are available online at SelectSpecs, so you can wear the same sunglasses as the President! 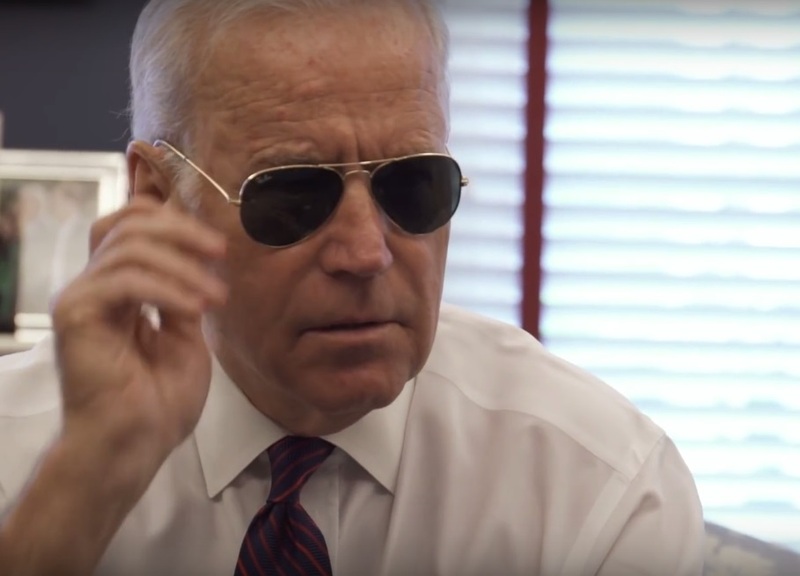 While he may not venture far with his choices, we can’t deny that Joe Biden has great taste when it comes to eyewear. 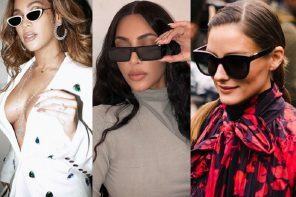 His many pairs of shades are easy to identify, as they’re one of the most iconic sunglasses styles around. If you haven’t already guessed it, they’re the Ray-Ban RB3025 Aviator shades. 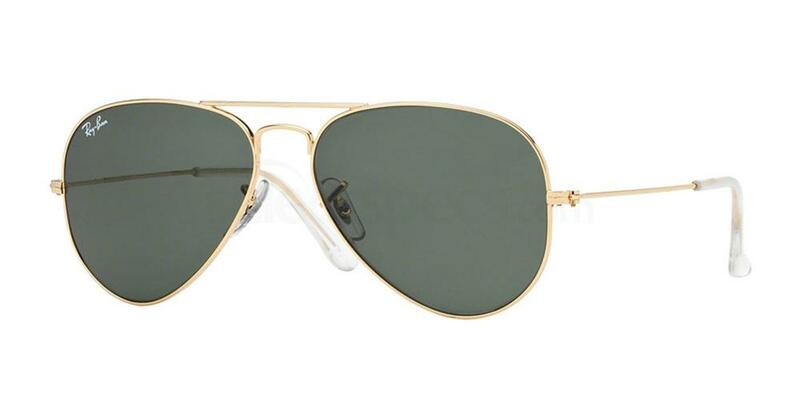 Another iconic choice from Ray-Ban, these sunglasses are similar to Obama’s shades, but with a classic aviator shape. 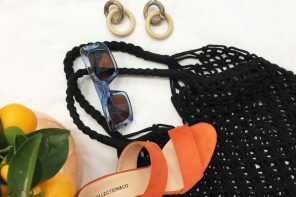 They’re a versatile style that look great on everyone and never get old. 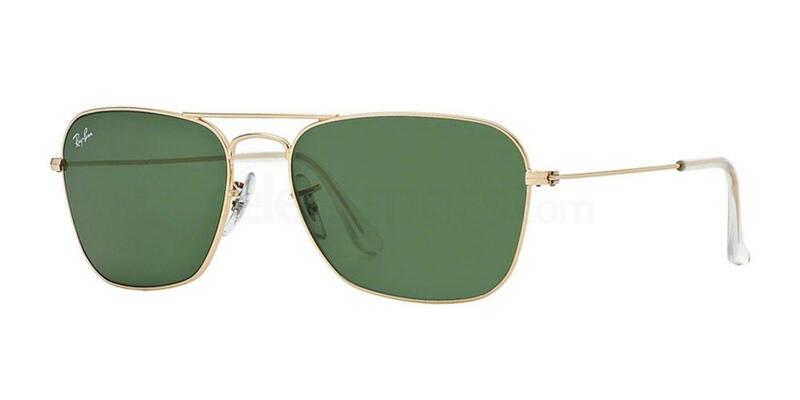 Ray-Ban’s aviator sunglasses are available in a wide range of colours, but Joe’s aviators also feature arista gold metal frames and crystal green lenses. So if you want to look as cool as President Obama, all you need it a pair of Ray Ban-sunglasses! 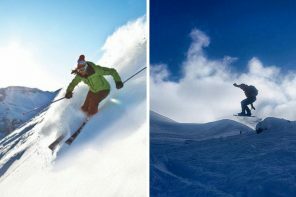 Shop the full range of Ray Ban eyewear online at SelectSpecs. And of course, don’t forget to tell us what you think about this video in the comments below. See Tom Hanks’s professional aviator look in A Hologram for a King here. 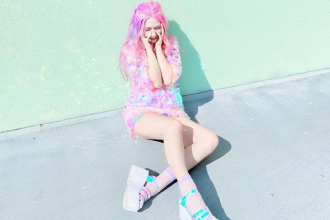 Michaela is a freelance writer who loves fashion almost as much as she loves words. She wears glasses for reading and is very attached to her RayBan aviators. Drake Shocks Fans by Wearing Pink Sunglasses!